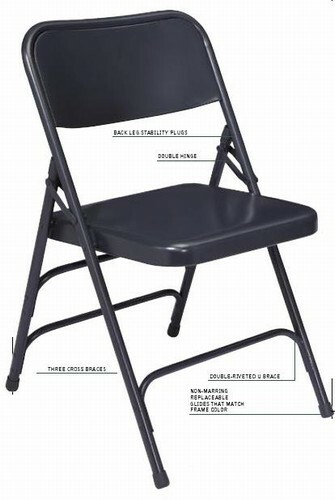 Premium All-Steel Triple-Brace, Double-Hinge Folding Chair from National Public Seating Corp.
Must be ordered in quantities/increments of FOUR only. We took our best-selling chair and made it even better. 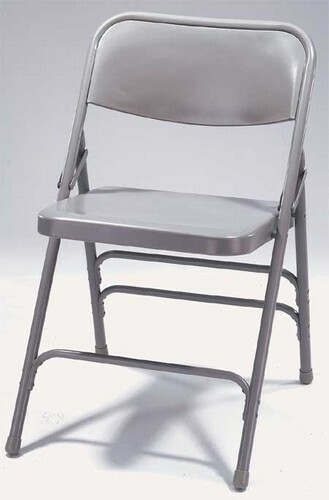 This chair has all the features of our 200 Series, like double hinges, heavy-duty 18-gauge tubing, our double-contoured back, waterfall seat, V-shaped stability caps and plastic, non-marring glides. We then added three U-shaped riveted cross braces, instead of two. 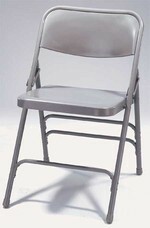 This chair is the strongest chair you can get!